Berliner StillLeben I. Exhibition "Berliner StillLeben I" in Pforzheim. 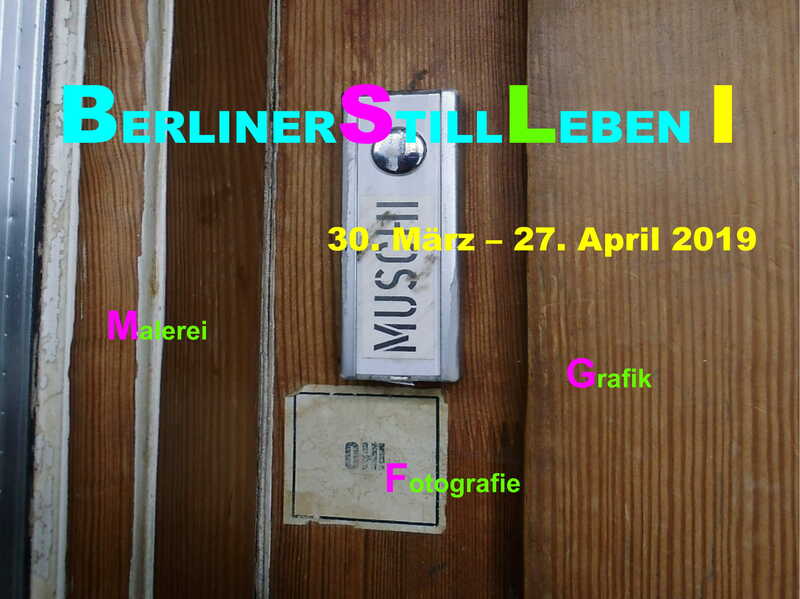 A warm invitation in Pforzheim, N#N Artsroom to the exhibition "Berliner StillLeben I" : painting, graphic, photography. 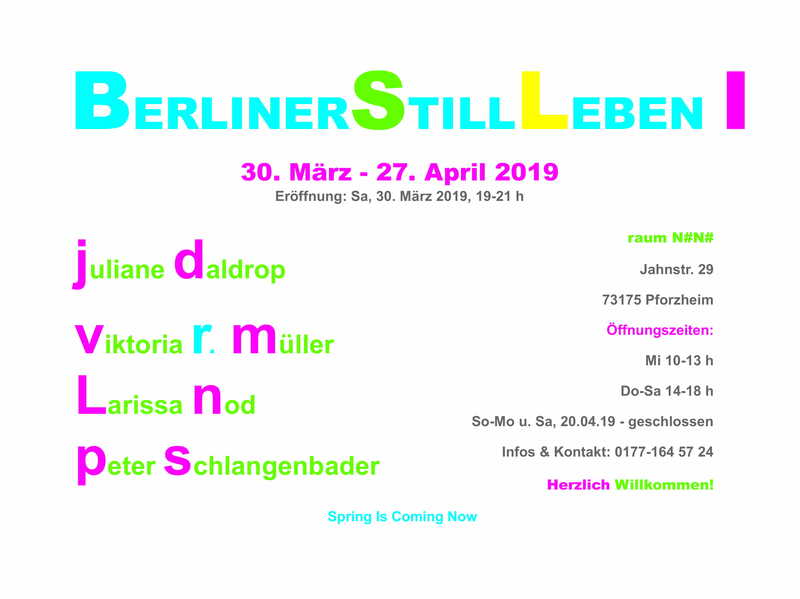 Programm: on the Vernissage (Saturday on 30.03.2019 at 7 pm), the berlin artist SCHLANGENBADER has a poetic performance, which underlines philosophy and expertise of its pictures.